An urbane education … Macquarie Grammar School’s city setting offers students ready access to Sydney’s best cultural and sporting facilities. An office block at the south end of Clarence Street in Sydney’s CBD may be an unlikely spot for a high school but breaking new ground is at the heart of the Macquarie Grammar School (MGS) ethos. 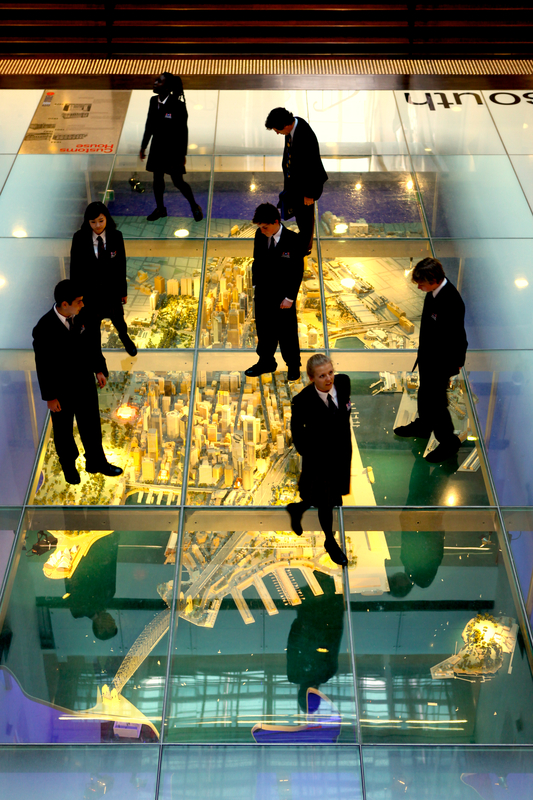 Styling itself a “21st century grammar school”, MGS is forging a new school model that capitalises on its urban setting to offer students a sophisticated education with contemporary relevance. “It’s the way of the future,” says MGS Headmaster Mr Rekouniotis. “Traditional schools have a fence and a playground, we’re in a highrise in the CBD with access to the city’s top cultural and sporting facilities. Cultivating knowledge … Macquarie Grammar School students enjoy an open air class at the Botanic Gardens. Mr Rekouniotis says that another aim of the school is to acclimatise students to corporate culture to prepare them for a professional career. “Students love it here because they are treated like adults, they come and go during breaks as they like. The onus is on them to arrive on time and return to school on time. They are accountable and responsible for their learning. This model produces the greatest growth in students both emotionally and academically that I’ve seen,” Mr Rekouniotis says. Culture of excellence … Macquarie Grammar School Headmaster John Rekouniotis (pictured at right) takes pride in his students’ strong work ethic. As a small school, MGS has fewer students than the average primary school, but that it is one of its great advantages, says Mr Rekouniotis. No one slips under the radar at MGS. “I have a student welfare officer who oversees every student in the school, liaises with parents, talks with students every day. If there is a problem with attendance or performance, she talks to them to find out why. Are there issues at home? Are they homesick? We uncover problems almost instantly and pass on the information to the other staff. You’re not a number here. I know every student by name and so do the other teachers,” he says. Of this tight-knit population, approximately half are international students attracted by the school’s excellent academic reputation, Mr Rekouniotis says. The school’s house system assigns a tutor to every student and teachers provide before and after school learning assistance. MGS has a strong STEM emphasis and encourages girls to pursue these subjects. “Girls and boys are treated equally here and girls do just as well as boys. Our top students at all levels of maths last year were girls,” he says. “My greatest joy is when I hand out a certificate of High School Preparation to a student. They come here hardly speaking English and a few months later, they’re communicating fluently with you,” he says. Does that sound like your child? Do you want to support your child’s natural abilities but find it hard to fit lessons/training/auditions around school and homework? If so, The McDonald College in Sydney’s Inner West might be the solution to your dilemma. Peak performers … The McDonald College has a strong dance program including ballet, modern and musical theatre streams. 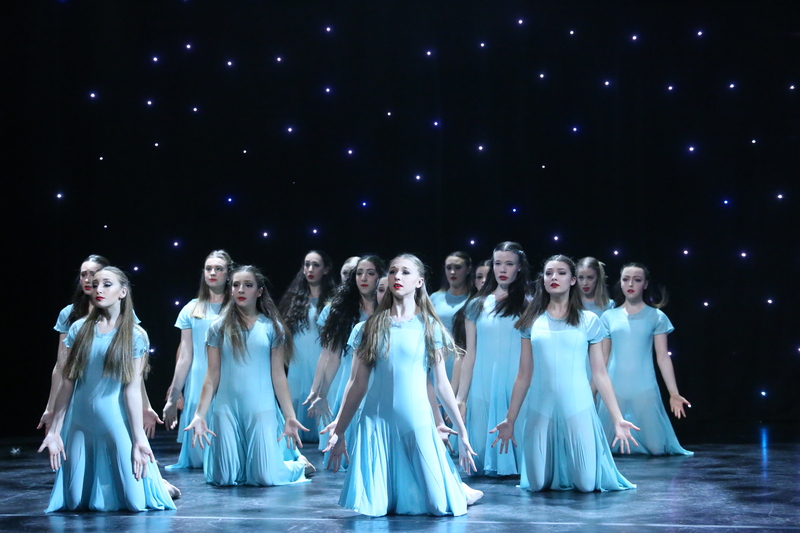 Centrally located in North Strathfield, the independent co-ed performing arts school nurtures talented students from years 3 to 12. 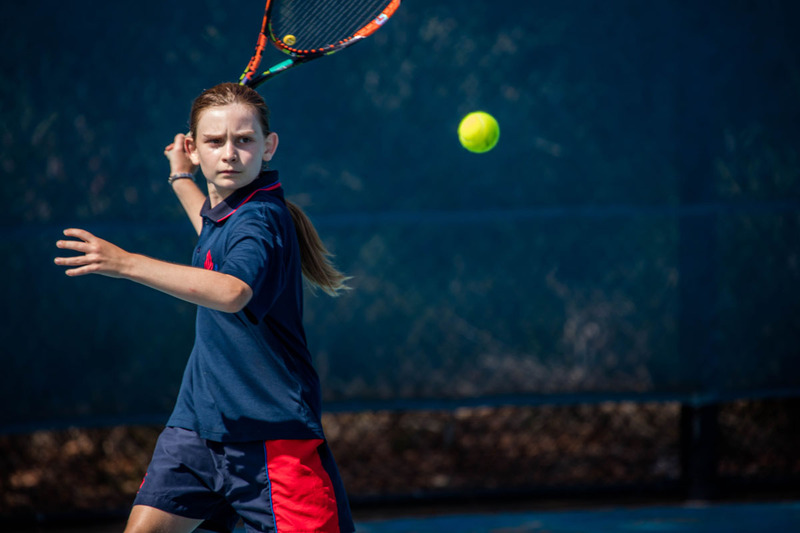 Its unique immersive approach emphasises academic excellence while allowing students to pursue their passions for two hours every day with dedicated tuition in either acting, ballet, dance, music, musical theatre or elite tennis. With all the coaching provided in-school, students can focus intensively on their training free of the demands involved in commuting to far-flung extra-curricular activities. To develop their gifts fully, students often need to perform or compete at an elite level. The McDonald College offers students flexible schedules to help them meet their out-of-school commitments while ensuring that they maintain their academic studies. Many students have the gift of natural ability but require specialised support to convert their gifts into the talent necessary for outstanding performance. Reaching for the stars … The McDonald College offers specialised support to help students hone their gifts into talents. These students do best when their exceptional qualities are cultivated and sympathetically managed says principal Maxine Kohler. “Gifted and talented children are uniquely special and are often acutely aware of their difference in relation to their peers. “Teaching these students requires a deep understanding of the personality traits that feed their creativity,” she says. The school’s success is evident in the achievements of its performing arts alumni including pop star Meg Mac, Romper Stomper star Sophie Lowe and Heath Ledger scholarship winner Mojean Aria. In 2013, the college added tennis to its roster of specialist programs partnering with Voyager Tennis Academy. With two international championship wins this year, the school won the NSW Tennis Award for Most Outstanding School. 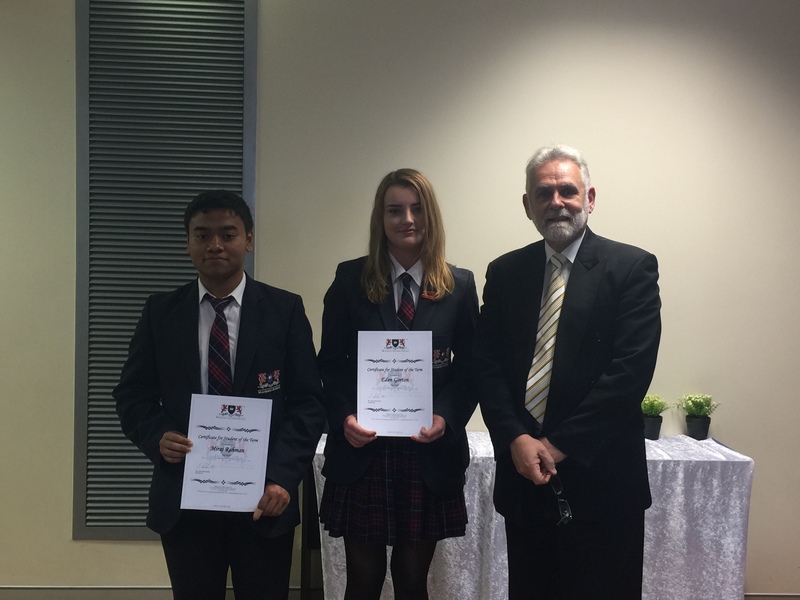 Focus … The McDonald College is the Most Outstanding School in the state as awarded by NSW Tennis. Powering every star is a deep well of creativity. In supporting and celebrating this characteristic the college produces not only excellent performers but high academic achievers well prepared for the modern workplace. Once considered the preserve of artists, performers and advertisers, creativity is of increasing practical value throughout our fast-changing global economy. At the 2016 World Economic Forum (WEF) meeting in Davos, it was named, along with critical thinking and complex problem solving, as one of the three primary skills requisite for success in the next decade. With the rise of robotics and artificial intelligence entailed in the Fourth Industrial Revolution, humankind’s unique creative capacity is of greater importance than ever, the WEF predicts in its 2016 The Future of Jobs report. “Creativity will become one of the top three skills workers will need. With the avalanche of new products, new technologies and new ways of working, workers are going to have to become more creative in order to benefit from these changes,” the WEF says. 21st century skills … creativity will be the key to success in the next decade, says the World Economic Forum. This WEF’s prognosis is borne out by Year 10 acting student and entrepreneur Ali Kitinas who, at 16, is believed to be the nation’s youngest CEO. Her beauty product company Freedom Scrub recycles coffee grounds to produce an ethical and sustainable skin cleanser. A portion of the profits is donated to the Hope Foundation Hospital providing health and medical services to impoverished children in Kolkata, India. The social enterprise has attracted wide media attention and Ali counts Virgin Airlines founder Richard Branson as a mentor but performance remains her first love. Talented, accomplished and ambitious: Ali’s self-assured dynamism is emblematic of the The McDonald College ethos. “Our environment is supportive and nurturing of creativity enabling us to graduate students that are lateral thinkers and excited about life beyond school. Whether their chosen career is on the stage as a performer or in the world of medicine, law or global business, our students are confident communicators, distinguished leaders and diverse role models,” says Principal Kohler.